Are there some things in your life that need changing? 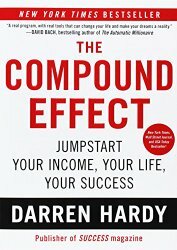 Who doesn’t have need for some change in their lives? If you let your mind wander you can think of a couple of things you would really like to see change or be changed in your life. Though our New Year’s resolutions are but distant memories of our once good intentions, they are mostly forgotten and little reflected upon. We seemed so sure that this year would be different. We made the resolutions and even wrote them down, now we can’t even find the piece of paper upon which they were written. One of those resolutions should have been to get better organized. Well there is always next year! There are several reasons why resolutions rarely work. Allow me to state one of the obvious reasons, we attempt too much, too fast and desire major change to take place overnight. It is a prescription for discouragement. Two books have impacted my thinking about the need for change. 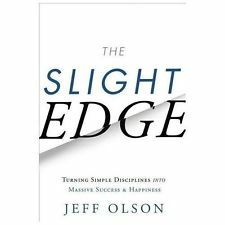 The books are: The Compound Effect by Darren Hardy, and the other book is the Slight Edge by Jeff Olson. Let me distill the lesson that helped me most. We will set ourselves up to fail because we believe we have to change everything and do so in large doses to see change happen in our lives. In reality the opposite is the real way to change. Taking small steps and taking them consistently lead to big changes. What are some small steps that you could take that over time would have a great impact upon your life? If you need to save for retirement start by setting aside $25.00 a week or month. After some time it will become easier and then you can increase the amount by $10 or $20 and then after some time you will be surprised by the amount that builds up. Want to start reading the Bible? Start by taking five minutes tomorrow and sit down and read the Word for five minutes. Then before you know it you will be reading for 10 minutes and then 20 and so on. The sure way to fail is to say “I am going to read through the Bible this year.” This is especially difficult if you have never read the Bible. Start small and watch it turn in to big results. It will work in all areas of your life, from weight loss, exercise, family time, other relationships, to projects at work. Rather than becoming overwhelmed by enormity of what has to be done, break it down into smaller pieces and begin. You will need to keep at it, it is always easy to give in and quit. You will need to find ways to motivate and monitor yourself. It is easy to get off track. If you miss a day, that is okay, just make sure to get back on track. If you want to make some big changes in your life, start small and see how the small things will compound and build over time. The secret to much of this, is to show up and work on being consistent. I have confidence in you! Pick up one or both of these books, I believe they could be the nudge you may need right now. Remember that in the Bible we are told that even faith as small as a grain of mustard seed can over time grow into a large tree. It doesn’t start large but small. So start small and take some positive steps and watch what happens when consistent small actions are teamed with time the results are often very incredible.